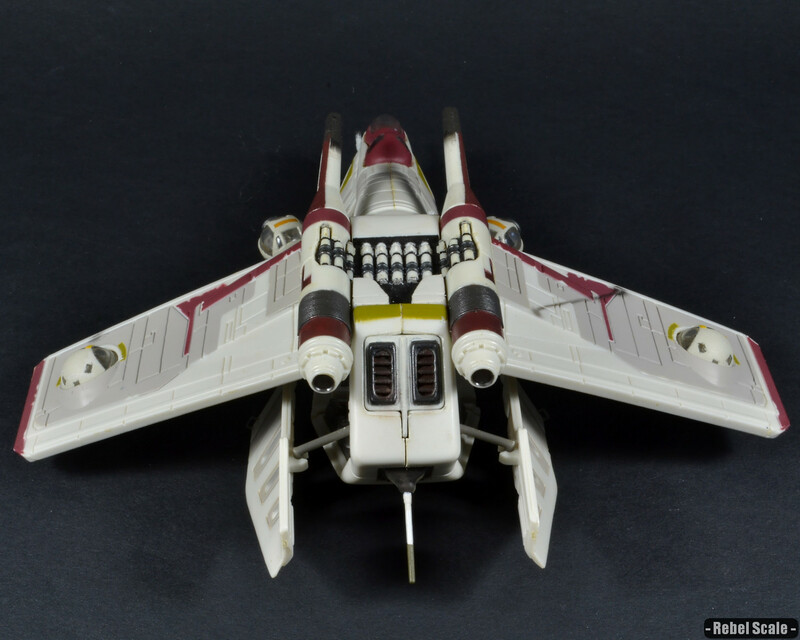 This is a combination of two Republic Gunships: the 2003 AF version, and the 2004ish Titanium Ultra version. I used the side sphere turrets and the large missile cannons from the titanium version, which were larger, more accurate, and still plastic. 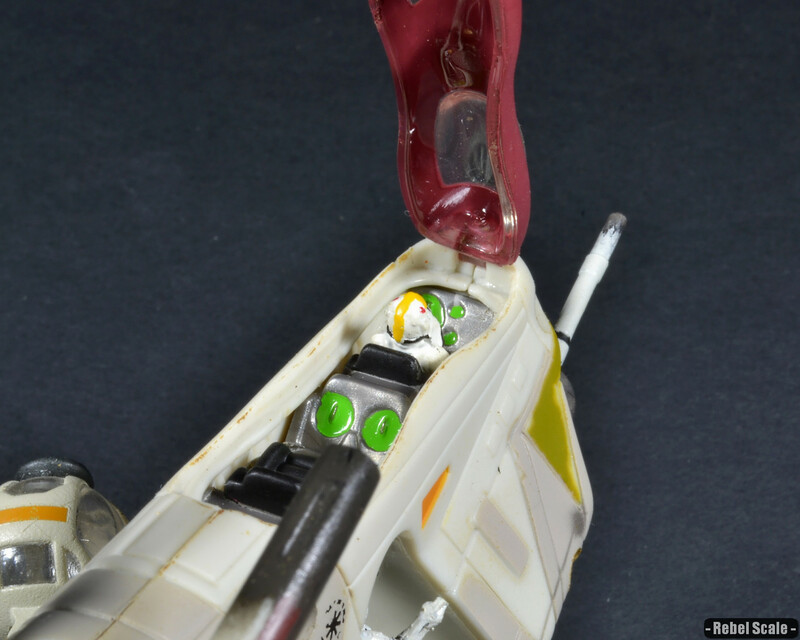 I modified the wing sphere turret sections, removing unneeded plastic and making them swivel easier. I added a rack attachment for the Speeder Bike (the Micro Machine version), which attaches via the underside laser cannon. I added handholds to the sides and to the doors. Finally, I modified the cockpit to hold a seated MM TIE Pilot (from the MM Transforming TIE Pilot head). 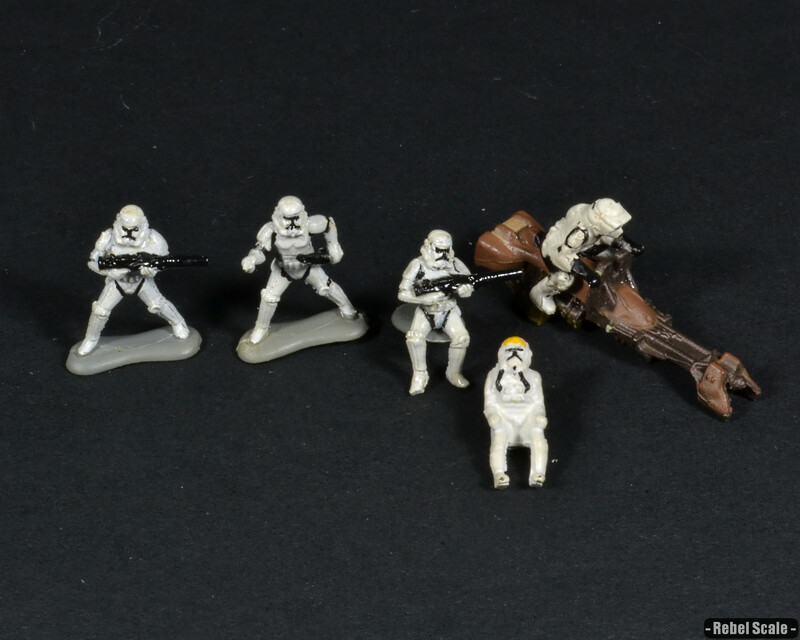 I later modified some MM Stormtroopers to Clonetroopers. I painted a lot on this vehicle, most of which was hand painted. I painted the sphere turrets, the 3 laser cannon turrets, the missile turrets, the underside rockets, the underside of the nose, cockpit details, the missile rack, the air intake section, the exhaust section, and probably a few more that I can’t think of right now. 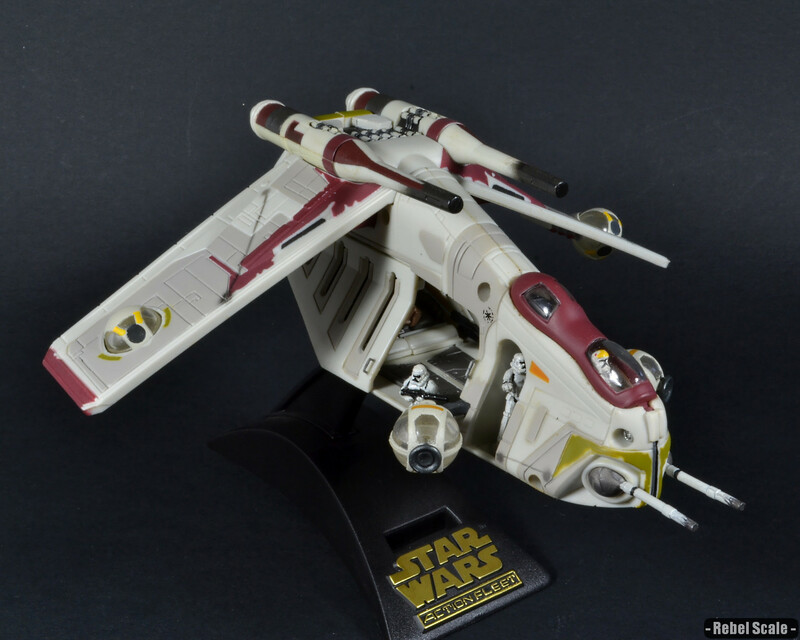 This was an earlier custom and lacks a good weathering job, but I may redo it someday. 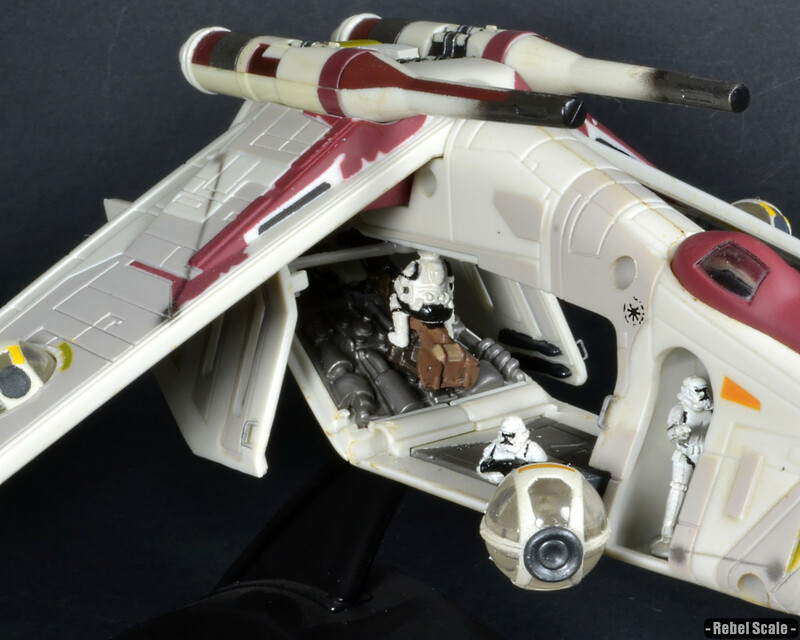 The Low-Altitude Assault Transport Infantry (LAAT/I) Gunship acted as the primary ground assault and troop transport vessel in the Republic army. 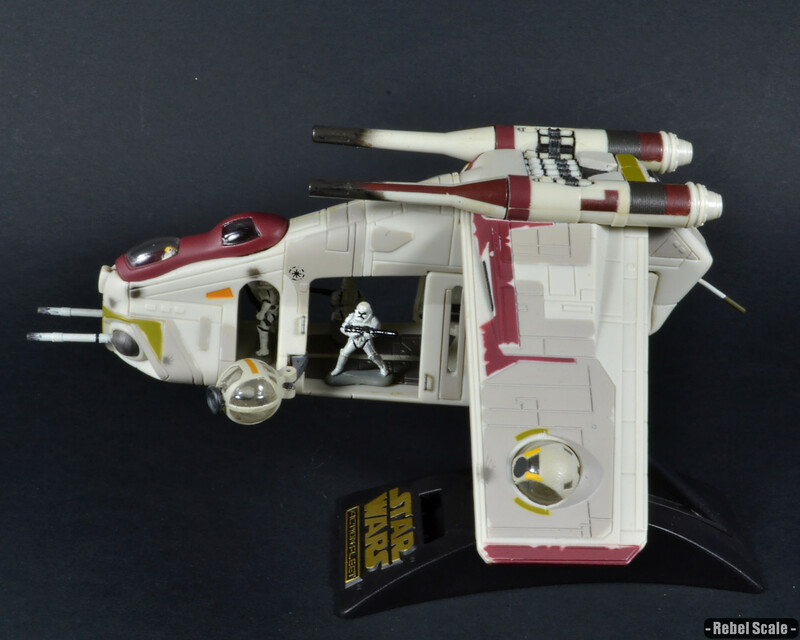 Apart from the troop and speeder bike compliment, it sported 3 laser cannon turrets, under-wing rockets, mass-driver missile launchers, and 4 composite beam turrets (which acted like miniature versions of the Death Star’s superlaser). Because of the open troop compartment, the initial gunships had to be released in the atmosphere. However, later variants would remove the two central beam turrets and replace them with pressure-locked doors. 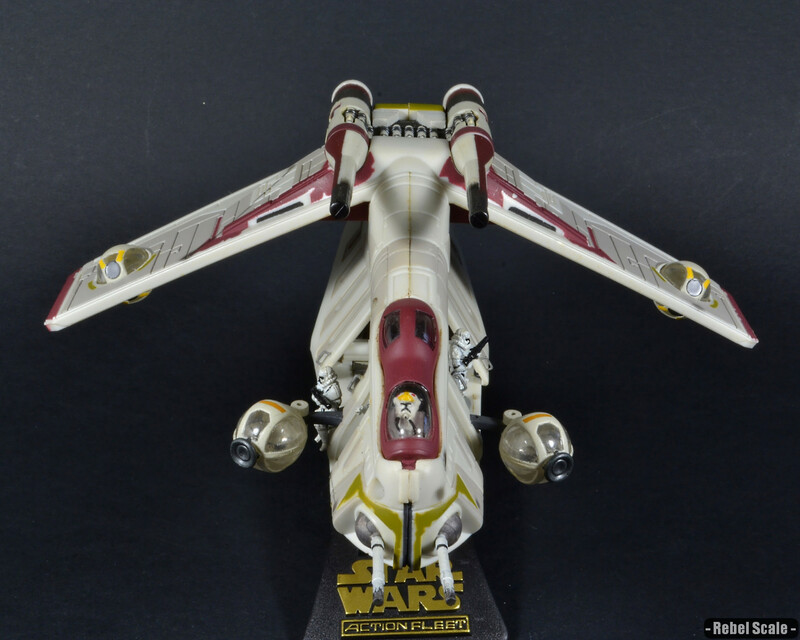 This allowed Republic cruisers in space to deploy the gunships without having to land or enter a planet’s atmosphere. Can you buy any of these!! 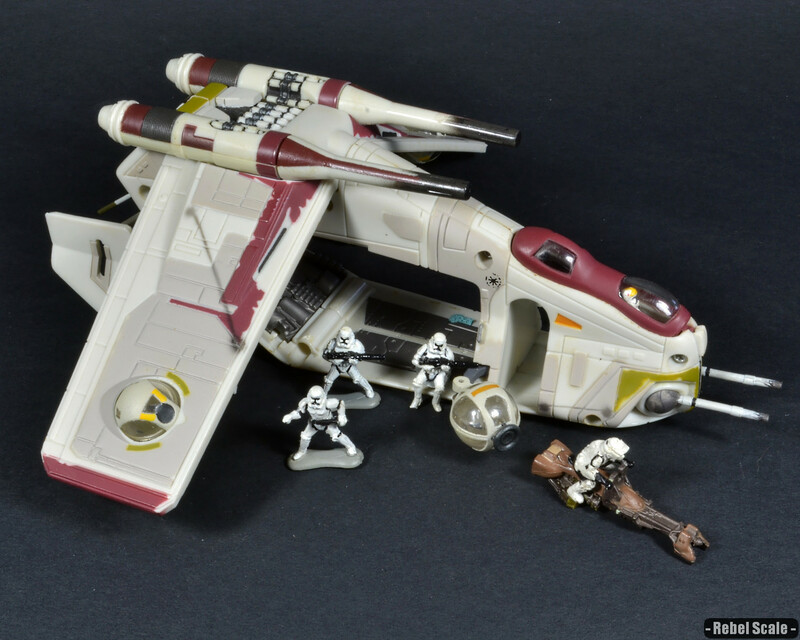 You can buy the unmodified/non-detailed version of the Action Fleet Republic Gunship, they pop up on eBay a lot. If you’re wondering about my specific models, feel free to contact me and make me an offer. Cheers and thank you!